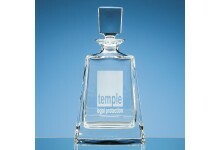 This distinctive square spirit decanter with facet ball stopper has been crafted from the finest .. 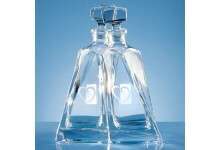 The handmade Round Mini Decanter makes an ideal gift whether supplied on it's own or as part of a.. 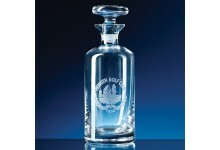 The elegant Gallery square spirit decanter is beautifully crafted out of 24% lead crystal and has.. 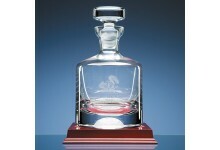 The 0.7ltr Boston decanter is elegantly crafted out of lead crystal, it has a stylish tapered des.. 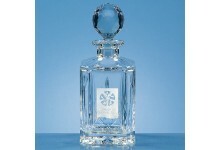 This pair or crystalite lovers decanters is a unique gift idea for a wedding or engagement. The d.. 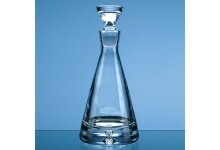 Contemporary and stylish in design, the 0.37ltr Pyramid decanter is hand blown by master craftsme.. 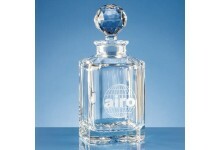 The handmade tall wine decanter has a bubble base and a spherical stopper. It has a large engravi.. 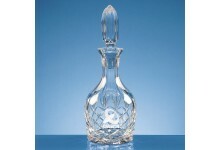 The 0.75ltr round wine decanter is hand blown and hand cut and polished from 24% lead crystal. It.. 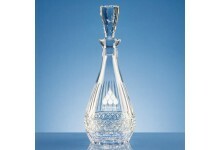 The 0.75ltr oval wine decanter is hand blown and hand cut and polished from 24% lead crystal. It .. 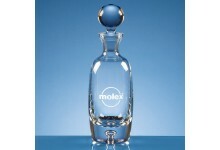 The decanter is hand blown with a half Golf Ball design moulded into the base. It has a large eng..